PLO (Pot Limit Omaha) Research & Strategies Proven By Years of Experience By Leading PLO Experts! This is a complete PLO course covering all aspects of the game to help you crush the competition and put more money into your bankroll. The Upswing Poker PLO Lab is a Pot Limit Omaha poker training course with in-depth PLO theory and play & explain modules. 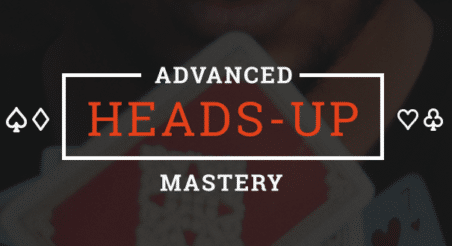 This course covers both 6-max online, Heads-Up and live PLO games. The PLO-Bootcamp is a mini-course inside the PLO-LAB that functions as a shortcut-guide to Pot Limit Omaha Strategy. Based on the latest research, JNandez breaks down, in 8 hours, what took him years to develop. This mini-course is ideal for beginners at PLO or players who want to brush up their game based on the latest, PLO Solver, research! Advanced Lab Strategies offers monthly modules that go deep into strategy and research of Pot Limit Omaha. Play and Explain Videos, from Fernando "JNandez87" Habegger connects the dots in real-time and invites you to sweat his game while facing a wide variety of different opponents. Access cutting edge PLO strategies from Fernando "JNandez87" Habegger, a world-class PLO Player and Coach. Designed for serious players who want to improve their game. Study with the step by step instructions and examples presented in each PLO learning module. Fernando shows you exactly how the best of the best are playing high level PLO. Master the latest breakthroughs in PLO strategies to have a big edge on your opponents. Have full confidence in your approach to the game. Note: The PLO Lab has transitioned from a subscription-based course to a one-time payment as new content will no longer be added. It is an absolutely amazing value at this price point, but we won't be offering it forever.